Later today Mondo will be releasing this beautiful new movie poster for Drive starring Ryan Gosling by acclaimed artist Rory Kurtz! Kurtz has been killing it the past year with his movie poster designs, and this Drive screen print is another perfect example of the evolution of his amazing art. Is this a home run release by Mondo and Kurtz or what!?! 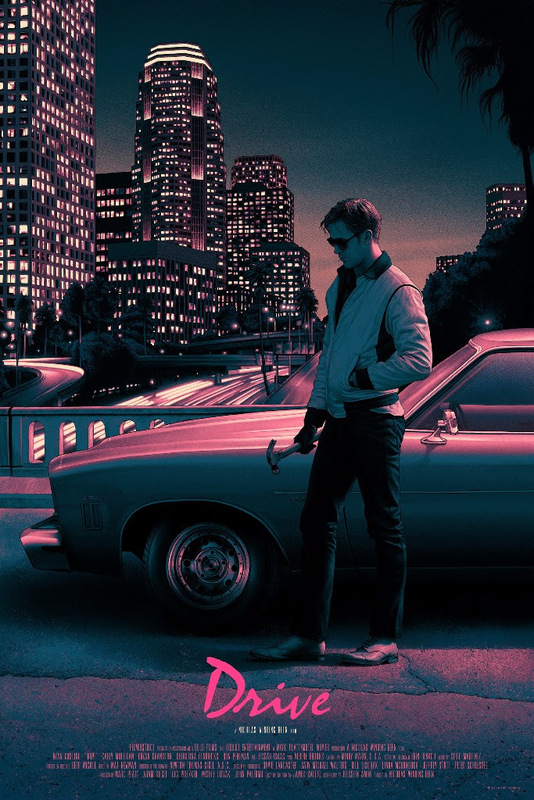 Drive by Rory Kurtz is a 24”x36” hand numbered screen print. Limited to 375 pieces, this awesome poster will go on sale at a random time today, Thursday, January 5th, at the Mondo online store for $50.